At the start of the year I shared that I had a reading goal of 45 books for 2017. Since 2014 I have been increasing my yearly reading goal by 5 books and love keeping track on Goodreads (let's be friends over there!). Now that we're a little over a quarter of the way through the year I thought it would be fun to do a recap of the books that have stood out to me thus far and to offer advice for those of you looking to up your reading for the rest of the year. I. Love. Edward. Rutherfurd. He writes epic historical fiction novels that generally focus on one city and follow characters throughout time. His deep understanding of the time periods he covers and the captivating stories he tells absolutely blow me away. I cannot recommend his work highly enough and have The Princes of Ireland next on my Rutherfurd reading list. Another historical fiction novel (I can never get enough), this time set in Europe. This novel follows Sisi, the woman who became the wife of the Austro-Hungarian Emperor Franz Joseph in the second half of the 1800s. From Sisi's story the reader learns about royal expectations, the political landscape at the time, and how vastly relationships can change in even a short period. I thoroughly enjoyed this book and found the characters to be quite compelling. This book was a disappointment. I had it on my "to-read" list for a while because I enjoy Kaling's work on The Office, but this did not live up to my expectations. While she does preface the book by saying it would be filled with her wandering thoughts and ramblings, I found it to be distractedly scattered and, dare I say, shallow. There were a few moments that made me laugh out loud (thank goodness those instances helped redeem it), but overall I would not suggest reading Kaling's book. This is my most recently finished book and I am a big fan! I started reading it on a whim (it wasn't sitting on my "to-read" list for months like most of my other picks) and am incredibly glad I did. It is a short novel that describes the dreams of Albert Einstein during the early 1900s when he is working on his theory of relativity. Each chapter depicts a different world where time functions uniquely. From a place where people live up in the mountains because time moves slower there, to a town where they know the exact date and time of the end of the world, to a place where there is no memory of the past, each world has its own benefits and drawbacks. It was concise, descriptive, and an interesting read. Measure your goal: I've said it many times before and I will say it again: having quantifiable goals and actually tracking them makes it much more likely that you will achieve what you set out to. 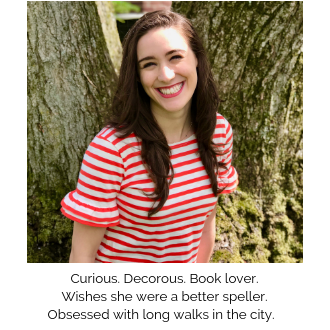 I'm an advocate for Goodreads because you can keep track of books you want to read, have already read, and are currently reading, plus you can set personalized goals. Do it. Trust me. Read what you actually want to: I respect Joe's opinion (you can see that from this recent post where one of our conversations prompted me to rethink how I structure the blog), however, that doesn't mean we'll have the same taste. He asked me to read Catch 22 and by the time I got a third of the way through, I just couldn't do it anymore. Getting caught up in reading what you think you "should" read or what's popular is a mistake because you will likely find any way you can to procrastinate and avoid it. If you're reading for pleasure, still challenge yourself, but pick something you will truly enjoy. Build it into your routine: Whether it's a chapter in the morning or before bed, reading during breakfast, or on your commute, find a time that you designate as a reading time. In addition to reading before bed, I nearly always carry a book with me and pull it out whenever I have a spare moment. 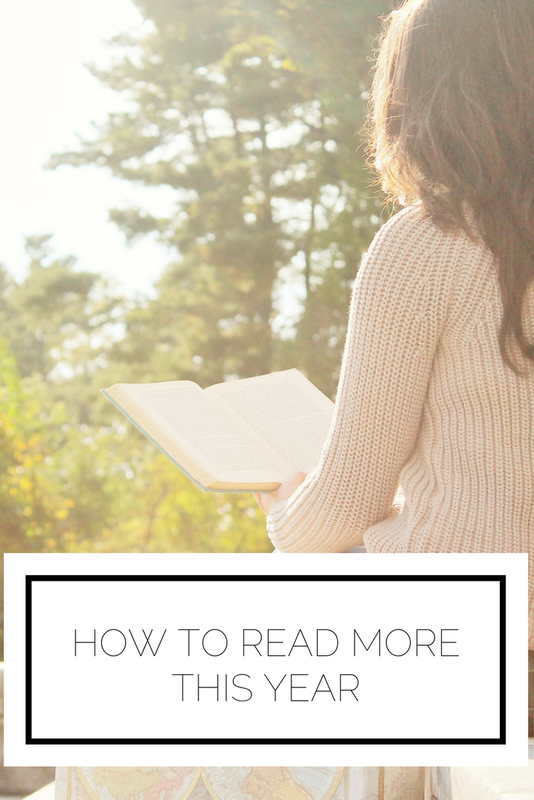 Make it easy (and inexpensive): Reading should not become a chore because it is a hassle to get books. There are SO MANY ways to access literature. My favorite methods are free: using the physical library and taking advantage of my library's access to e-books. Most libraries have a database of e-books for members so if you have an e-reader (I love my vintage Kindle) it is convenient to check out a book from the comfort of your home. If this level of ease doesn't inspire you to read, I don't know what will! What books have you read this year? What's your yearly reading goal? How do you prioritize time to read?